Quick Announcement: My apologies for not getting this posted on Monday. I made a brief mention on the Facebook Fanpage that recently my wife was admitted to the local hospital with some chronic issues she has been fighting and that my time just simply slipped away from me. I am happy to report that as of right now, she is feeling a lot better (though not out of the woods quite yet) and is now beginning to recover a bit. Thanks to all of you who expressed concern and offered your most coveted prayers for her and our little family. Also, please note that the last chapter will not be due this Monday but he following Monday as I think that might be a wiser decision on my part since I am not exactly sure how much free time I will have this upcoming week. The emancipation of God’s people from the iron furnace of Egypt, their march across the desert, their passage over Jordan, and their final settlement in the land of Canaan, are indisputable points of agreement, and present at one glance the moral map of the Christian’s pilgrimage and journey from earth to heaven. Approaching the end of this volume, we feel there would be wanting an essential link in the chain of helps heavenward were we to omit gathering around the closing scene of the believer’s life those appropriate instructions, soothings, and hopes essential to the succouring of the soul in so solemn and momentous a stage of its history. Doubtless to the eye of the children of Israel, as they stood upon its banks surveying the promised land beyond it, the intervention of Jordan was an object of gloom and terror. That there are swellings of Jordan in the Christian’s experience we doubt not. For example, there are the fears with which the child of God anticipates the last enemy,—there are the sad recollections of all his past sins crowding around his pillow,—there are the suggestions of unbelief, perhaps more numerous and powerful at this moment than ever,—and there is the shrinking of nature from the final wrench, the last conflict, the closing scene—the last glance of earth, the last look of love, the loosing of those fond and tender ties which entwine us so closely with those we leave;—these are some of the swellings of Jordan. The crossing of the river Jordan has been one of the most recognizable metaphors of death used by believers down through the ages. And why shouldn’t it be? After all, it’s the culmination of a life lived and that is ready to finally be laid aside to come into its full inheritance in the Lord Jesus. But to pass over this river is no small matter, not even to believers. As Bunyan so beautifully portrayed in Pilgrim’s Progress, there are some of us that, when we come to its banks, shall not proceed without much trial and difficulty. Satan still lingers upon its shore to accuse Zion’s travelers already weakened by the pilgrimage thus of their failures and shortcomings. Thus, when they proceed into its waters, they begin to flail and thrash as its depths begin to creep slowly upon their necks. Doubts and remembrances may begin to pummel their tender conscience that they begin to gasp and almost even drown. Thankfully, however, their Anchor lies well within the city beyond and is there to safely provide them safe passage to her shining shores. There are also those of us who may go boldly and in full confidence into her raging waves where every step forward only draws even more and more confidence and courage to plunge ahead and lay hold of the sandy banks beyond squarely and firmly. Those of us in Jesus will indeed cast a wishful eye upon her banks one day. None of us will be exempt. We will all one day see her shores. We read that God commanded that twelve priests, representing the twelve tribes, should bear the ark of the Lord before the people, and that the moment the soles of the feet of the priests that bore the ark were dipped in the brim of the water, the waters rose up on either side; and then we read that, “the priests that bare the ark of the covenant of the LORD stood firm on dry ground in the midst of Jordan, and all the Israelites passed over on dry ground, until all the people were passed clean over Jordan.” Now here we have a beautiful representation of the passage of the children of God through death into heaven. Take each particular. There was present, first, the ark of the covenant. Upborne upon the shoulders of the priests, it went before and led the march of the advancing hosts. That ark was an especial and glorious type of the Lord Jesus. Christ, our divine Ark, has already clave the waters of Jordan, for He has passed through death in advance of His people. And still the Ark is with them. Never was there the departure of a believer unattended by the presence of Jesus. Delightful thought! Christ our Ark will divide the dark waters as we pass, will go before, will go with us, will be our rearward, and thus encircled by Christ, amid the swelling of Jordan, we will fear no evil. What more is needed than the sensible presence of the Saviour to raise the heart superior to the fear of death, and to bear the soul tranquilly across the river? Fear not, then, believer—you will see His smile, you will hear His voice, you will feel His hand, and His conscious presence will enfold you as you pass. Then, the feet of the priests stood firm in the midst of Jordan. The waters had parted, and on either side they stood as crystal walls of defence, while the hosts of the Lord passed over. Infinitely firmer do the feet of the saints stand on Christ when they die. The Rock on which you stand is a firm rock,—the covenant of grace which you grasp is a sure covenant,—the love of God in which you confide is an unchangeable love,—the atoning work upon which you rest is a finished and accepted work. The throne of God in heaven stands not firmer than does the weakest and most fearful who, leaning on Jesus, clinging to Jesus, is sustained by Jesus, as he cleaves his way through the swelling of Jordan. And then we are told that, all the people passed clean over. What an impressive illustration of the full salvation of the whole Church of God! All the people,—the small as the great, the timid as the bold, the weak as the strong,—not one left upon the shore, but all went over and stood an unbroken column on the other side. Blessed thought! the Church of Christ shall be finally and fully saved—not one shall be left upon the bank, not one shall perish amid the swelling of Jordan. You have often mused—“How shall I meet the final conflict? Will faith as weak, will grace as little, will knowledge as limited, will experience as shallow as mine be able to breast the swelling flood?” But why these fears? why these misgivings? why these doubtful reasonings? Weak as may be your faith, small your grace, limited your experience, you shall not perish, for it is not your hold upon Christ, but Christ’s hold upon you, that insures your safe and certain passage over. Now who of you cannot draw encouraging strength from the honey of this exposition!? Oh that we should see more of Jesus in all of our readings of the Old Testament! Jordan was the passage to Canaan,—death is the passage to heaven. Beyond the “swelling flood” faith descries the better land, the fair haven, the glorious and eternal inheritance of the saints. Let this thought exert a soothing influence on your mind. And then, to this add a kindred reflection—that, on the other side of Jordan you will greet again the loved ones from whom you parted on this side of the river. Our home circles are thinning; vacant places around our domestic hearth remind us that some, who sat with us there, have passed over. Friend after friend is departing,—familiar and loved faces are disappearing from our view,—and life seems more lonely and the world more desolate. Well, be it so. We shall find all who sleep in Jesus again on the other side of the river. We accompanied them to the margin, saw them enter the swelling tide, heard their shout of victory, and then they vanished from our sight, and we saw them no more. And soon our time will come, when we, too, shall pass over and meet them all again. Be not over anxious as to the time, the place, or the mode of your passage over Jordan. As death is in the covenant, so are all the circumstances of death likewise in the covenant, and they will transpire just as your covenant-God has fixed and arranged. Ah, how many feel the swelling of Jordan more in groundless, anticipative fears than in actual reality! But be not careful, beloved, about this matter. All is in the Lord’s hands, and He will divide the swelling billows, and take you dry-shod over, and not a heaving, not an undulation of the cold waters, shall chill the warmth or ruffle the calmness of your breast. We all are going to die. It is the one thing in our lives that we will have to do absolutely alone. But in a sense, we are not alone, for there is One who waits for us weary travelers on the river’s bank on the other side. We shall take no provisions, no wealth, and no family or loved ones may cross with us. We must all, believer and unbeliever alike, ultimately submit to her rushing waters. And when we do finally come to the other side, we will either be wearing the spotless white robe of our Beloved or the rags of our former life of sin. As Bunyan so insightfully stated, “There is a way to hell, even from the gates of heaven”. Horrific thought to consider that there will be multitudes upon multitudes that will be led down that dark path while the precious few shall enter into their Kings rest and glory! And what will it profit us to fret and worry about that glorious day? What will it add to our comfort or encouragement? Be content to just know that one day, perhaps tomorrow or in 50 years, you will breathe your last breath and shall enter His presence. Until then, we must be busy at our Master’s work here on earth with the time allotted to us. Please read the final chapter, Our Father’s House for April 11. I am giving an extra week for this last chapter to ensure I have enough wiggle room in case my time gets pretty thin. I’ll see you here then! “Return, ye backsliding children, and I will heal your backslidings. Behold, we come unto thee; for thou art the Lord our God.”—Jeremiah. 3:22. Few will read the pages of a work designed to proffer a helping hand to Zion’s travellers to whom that hand will be more needful and acceptable than the awakened, returning backslider. To such, languid and fainting, depressed and despairing, hesitating to return, doubting God’s welcome,—evidences lost, soul-beclouded, fears rising, hope vailed,—the strongest cordials of God’s most gracious, full, and free promises are needful to rouse, revive, and reassure the wanderer that the Lord invites, receives, and welcomes the returning backslider—the child retracing his way back to his forsaken Father. God addresses them as backsliding CHILDREN. He can never forget His parental relation to them, though they may forget or abuse their filial relation to Him. Children though we are, adopted, sealed, and inalienably entitled to all the covenant blessings of adoption, we are yet backsliding children. The heart is ever swerving from God. The renewed soul possesses the principle of its own departure, contains the elements of its own declension, and but for the electing love, the restraining grace, the illimitable power of God, would destroy itself entirely and forever. If ever there were a more encouraging chapter in all of christen dome and in all works ever penned by the hand of man, this chapter and this opening verse must be it. Who of us cannot immediately relate and benefit of its rich blessing and comfort? Who of us had not, even in the quiet of our very souls, slidden away from our true Love and sought solace in the futility of another’s earthly arms? Wretched men and women that we are! Though we be saved, redeemed, and regenerated, who of us does not need to hear this opening word to us? “Return, ye backsliding children, and I will heal your backslidings.” He does not call us enemies or rebels here, He calls us children! Blessed thought! After reading that excerpt, stop a moment and let it fall on you. Mediate and taste all that is in it! If your heart is not firmly planted within the clouds after reading that you are not alive! The Lord Jesus is this open door. The blood of Jesus, the righteousness of Jesus, the intercession of Jesus, the grace of Jesus, the quenchless love of Jesus, the outstretched hand of Jesus, unite in guiding the trembling footstep of the returning soul back to its Father. The present efficacy and the continuous presentation of the Lord’s sacrifice in heaven, blended with His intercessory work, personally and constantly prosecuted before the throne, are a warrant that this door to God shall never be closed while there lives a penitent sinner to enter it. Brood not over what is past, yield to no forebodings and fears as to what may be the future—grapple with the present. For it you have a door, which God Himself has opened and which neither man, nor Satan, nor sin, shall shut. You have a throne of grace now inviting your approach; and you have the blood of Jesus with which to enter, as new, as efficacious, as prevalent, and as free as when it streamed from His sacred body on the cross. Let there be no postponement, then, of your return to God. As Winslow said, the door is wide open for the adopted sons and daughters of God and no one, NO ONE can or will ever shut it! Do not fret yourself believer that if you return He may be disgusted or displeased with you. He is now your Father and as such He cannot disown you. Though you have run from Him and have tasted of the worlds foolishness and fickle idols, He ever waits to embrace you once more. And as you return your gaze to Him from afar, He runs to you and welcomes you willingly and openly! He loves you believer! HE LOVES YOU! Backsliding from the Lord involves wounds, bruises, dislocation. It wounds the conscience, it bruises the soul, it breaks the bones of our strength, and causeth us to travel in pain and halting many a weary step. Ah, there is nothing so wounding as departure from God! Nothing so bruising of the soul’s peace and joy and hope as sin! Who can heal, who can bind up, who can mollify, who can reset these broken bones so that they shall rejoice again, but our sin-pardoning God? We have no self-power in this great matter of restoration. All that we can do is to make burdens, forge chains, carve crosses, inflict wounds,—in a word, destroy our own selves. God will forgive! Christ will bind up the broken heart! The Comforter will restore joy to the soul! There is still balm in Gilead, and a Physician there. The healing balsam still bleeds from the wounded, stricken Tree of Life. The gate of paradise is yet unclosed, its portal garlanded with a thousand exceeding great and precious promises, all inviting your entrance and insuring you a welcome to its sunny banks, its shaded bowers, its peaceful quiet streams. When we do return to the Savior of our soul, we are promised and assured He will bind our wounds, heal our hurts, and pour salve on our conscience. I the embrace of a Father’s arms in humble repentance, all things are made anew and all becomes well again with our souls. He will not continue to chasten us upon our return, but He has promised to re assure us over and over and over again that we are His and we will always be the apple of His eye and the joy of His heart through His Son Jesus Christ. No matter how many times we have departed or how cold our hearts have grown, He will always be ours and we will always be His… thanks be to God! If the Lord has graciously given you to experience His restoring mercy, forget not one great reason why you are restored—that you might hate and forsake the cause of your departure. If we have succumbed to temptation, it is not enough that we have broken from its snare; if we have fallen into sin, it is not enough that we have escaped from its power. God would have you learn thereby one of your holiest lessons—the deeper knowledge of that which tempted and overcame you, that you might go and sin no more. Restored yourself, seek the restoration of others. Seek to bring souls to Jesus. Let this be an object of life. Be especially tender, gentle, and kind to Christians who have fallen into sin, and are thereby wounded, distressed, and despairing. Extend a helping hand to lead them back to Christ. Your deep abhorrence of the sin must not be allowed to lessen your compassion and sympathy for the sinning one. Therein lies the importance of belonging to a local body of believers and realizing that these trials are not only sent for our own sanctification and growth, but to now go and help others who are struggling in their earthly war and need help heavenward. Ask yourself, during your times of brokenness and trial, wouldn’t you have wanted a kind word or an open ear to help you in your time of need? Such a blessing you can be to a fellow traveler on the King’s highway with you! Please read Chapter 10: The Swelling of the Jordan for March 28! This glorious little chapter opens before us with the call from Winslow to search our hearts to see how we so often can be consumed with our cares and woes that we more times than not forget to look unto Jesus for our sweet relief. But do you not, beloved reader, need to be put in constant remembrance of this divine secret of rest amidst toil, of repose amidst disquietude, of soothing amidst corroding cares, and of confidence and hope in the midst of change and depression? Bewildered and oppressed by the multitude of anxious thoughts within you, is there not a danger of being so absorbed by the care as to overlook the Caretaker? to forget the heart’s ease in the overwhelming of the heart’s anxiety? Verily we think so. Although it may be easily stated that this inward looking to self may be contributed to our self-reliance, pride, and our own ability to cope with the issues that so easily press in around us, I think it may be more properly stated that it is in these moments that we just simply forget who we are in Christ and that in our feeble state we need constant reminding to lift up our heads to the Author and Perfector of our faith… no matter how weak that faith may presently be. The cares of this life enter deeply into the carefulness of which the Lord seeks to lighten us. In proportion to the spiritual tone of the mind, and the closeness of the heart’s converse with God and heavenly realities, will be the tenderness of the believer to the chafing and pressure of temporal cares. The more heavenly we grow, the more acutely sensitive do we become to the encroachment and influence of earth and earthly things. Such a blessed mark of God’s children, yet such a troublesome mark at the same time. When the regenerated soul and mind grows all the more acutely sensitive to the heavenly call with which it has been set to does the world and its troubles begin to bombard the believers mind as cannon fire to a ships hull. So earnestly do we now yearn and strive for heavenly thought and likeness, yet the sharp contrast of the world’s fallen state seems to becloud our souls to make us feel the remaining chains this worlds still holds us by. It becomes all too easy to sit and stew in our woe and discomfort and ultimately to forget that we are to still keep looking ahead of our current positions unto Jesus and where He now waits for us. Then, there often presses upon the heart the anxiety to know the path of duty in which we should walk. This is no small care to the child of God. We are often brought to a stand-still, and are, as it were, at our wits’ end. Two paths, intersecting each other, diverging to the right and to the left, confront us, and we are perplexed to know which one we should take. I think that this particular care can become overwhelmingly burdensome especially to babes in Christ who have not yet blossomed into the flowering maturity of being able to rest in the assurance that God is always working all things for our good and that He is worthy to be trusted in making our paths straight and sure. We live in a world and in a time where we want instant answers and resolutions to all of our problems and questions. To be able to wait on the Lord is indeed a grace much needed in our day! But there are greater cares than these—the spiritual cares of the soul—which often press heavily upon the heart. You are anxious to know that you have an interest in Christ’s redeeming love,—that your name is written among the living in Jerusalem,—that your sins are pardoned,—that your person is adopted, accepted, saved,—and that after death you will reign with Jesus for ever. You are anxious, too, that your Christian walk should be obedient, perceptive, believing; that you should be more heavenly-minded, growing in knowledge, and grace, and divine conformity to the will of God and the image of Jesus. Ah! these are cares before which all others vanish into insignificance! He who travailed in sorrow for your salvation is personally, tenderly cognizant of the anxious, the profoundly anxious, desire of your soul that there may not rest the shadow of a shade of doubt and uncertainty upon the fact of its everlasting safety. You are not alone in this soul-exercise. Jesus is with you. The travel of your heart after him, the panting of your spirit for His salvation, the longing of your soul for an assured interest in His love,—your tears, your sighs, your desires, your prayers, your watchings,—awaken in the heart of your Saviour the deepest, tenderest response. I think we tend to view Jesus at many times like He is sort of just “out there” and that He would not be able to understand the soul sufferings we often go through. We could not be more wrong about that! We have a High Priest who is able to understand our weakness and concerns as He himself once walked in these paths at one time. He does indeed know the frailty of our faith at times and waits at all times for us to turn from our anxious ways and turn to Him for security and comfort in times of trouble. But you will ask, How is this transfer of care to be made? In the directions which we suggest we would give prominence to the exercise of unquestioning faith. Here there must be a taking God at His word. Will you, then, wound Him with your doubts, dishonour Him by your unbelief, and force from under you, buffeting, as you are, amidst the waves, this divine, sustaining plank—faith in the word and promise of the only true and living God? The life blood which we believers now live upon is our faith. It is the muscle which is able to move mountains! And like any muscle, it must be exercised (tried) to become stronger. The word of God is the weight bench in which that muscle may now be built up and strengthened. To read the promises in the holy scriptures is one thing, but it is quite another to grab hold of them and to “lift them” again and again to strengthen our faith and thus increase our confidence and trust in Christ all the more. Doubts and anxiety begin to become more and more faint the more we exercise our faith in the gymnasium of the word of the Lord! Not less potent is prayer as a mean of transferring care to God. God often sends the care to rouse us to call upon Him. We want an errand, and He sends a trial; we want an impulse, and He sends a sorrow; we want earnestness and importunity, and He sends the heavy and the continuous stroke—all His waves breaking over us. Prayer is the safety valve of the soul. The heart would break, the spirit would sink, despair would fold its dark shroud around us, but for the privilege of access to God through Christ. The most obvious means of care transfer is that of prayer, yet, it is so often overlooked. While the trusting of a promise in the believers bosom is a much more secretive and discrete function, prayer requires the laying aside of all earthly duty and business and focusing our hearts care solely with our God. It is indeed true that we may send silent prayers to the Lord all throughout our day when the need arises, but nothing can replace prayer done in that special secret place in which the believers soul may become unhitched from this wilderness trial and may be brought into full communicative communion with our Lord who cares for us completely. Oh precious hour of prayer! Winslow then concludes this chapter with a few observations of caution to his readers. Do not anticipate care. By anticipating care, and thus antedating your future, you grieve the Spirit of God, wound your own peace, and unfit yourself for present duty and trial. Sit not brooding over your state, deploring its existence, and lamenting your want of more faith, and grace, and love. Arise, responsive to the precept, and cast your burden upon the Lord, and He will sustain both you and it. This inordinate absorption within yourself will bring to you no relief, no heart’s ease, and no nourishment to faith. One uplifted glance—one sight of Jesus—one believing touch of the promise of God, will bring more repose to your anxious spirit, more succor to your burdened mind, than a lifetime of self-absorption. I love practical advice. And this is for sure good counsel from an experienced believer. To fret and worry for tomorrows provision is not only disobedience to a direct command of the Lord, but it only fuels the fire of anxiety within and fosters unbelief in the soul. You are so much important to Him than sparrows or blades of grass. You are bought with his Sons precious blood and He will not forsake the one whom He has applied the sacred blood upon! Trust Him for today. Trust Him for tomorrow. Trust Him for all! Lastly, keep yourself from morbid naval gazing. This is an area in which I personally struggle mightily and have at times almost become paralyzed by my failures, shortcomings, and recurring sins. It is indeed healthy to examine oneself to test our spiritual condition and progress, but it must be tempered with a constant looking to the alien righteousness that is not of ourselves that is ultimately the substance which God now looks upon for our justification before Him! Please read Chapter 8: Self Communion which will be due on March 14! Were we to take the world’s estimate of the real value and happiness of a life of faith in God as the true one, how gloomy, joyless, and forlorn a life would it appear! The world imagines that there is nothing substantial, bright, or social in the religion of Christ—no reality, sunshine, or companionship! But how mistaken! We cite, as disproving this view, the precept we propose in this chapter to illustrate and enforce, which enjoins the transfer of human care to God. Where, in the world’s wilderness, grows the flower of heart’s ease as it blooms and blossoms here? “Casting all your care upon him; for he careth for you.” How full of soothing and repose are these words! What cares have they lightened,—what anxieties have they removed,—what burdens have they unclasped,—and what springs of joy and comfort and hope have they unsealed in many a sad and oppressed heart! But do you not, beloved reader, need to be put in constant remembrance of this divine secret of rest amidst toil, of repose amidst disquietude, of soothing amidst corroding cares, and of confidence and hope in the midst of change and depression? Bewildered and oppressed by the multitude of anxious thoughts within you, is there not a danger of being so absorbed by the care as to overlook the Caretaker? to forget the heart’s ease in the overwhelming of the heart’s anxiety? Verily we think so. Hagar, pining with thirst, and blinded by grief, saw not the well of water flowing at her side. The disciples in the storm, filled with alarm, and absorbed by fear, recognized not the Lord Jesus walking to them upon the waves which threatened the foundering of their vessel. Thus often is it with us—thus may it be now with you. We look at the want, and not at Him who supplies it; at the storm, and not at Him who controls it; at the care, and not at Him who assumes it. Is not the voice of the Lord mightier than the voice of many waters, yea, than the mighty waves of the sea? Is not the Caretaker greater than the care itself? Yet how we limit the Holy One, and magnify and multiply our cares, anxieties, and sorrows! But for the immutability of our redeeming God, whose unseen hand guides, and whose power, almost insensible to ourselves, sustains us, our care would consume us. How often we are upheld, we scarcely know by whom; kept in peace, we scarcely know how; preserved in safety, we scarcely know why. But “the secret of the Lord is with them that fear Him;” and, sooner or later, we learn that Jesus has done it all, and has done it for His own glory. Fain would I, beloved reader, proffer you a little help heavenward by inciting you to this transfer of anxious thought and chafing care to God. Lightened a little of your burden, with a more trustful heart and gladsome spirit you will speed your way homeward to that heaven of perfect repose, upon whose threshold you will leave the last anxious thought, and lay down the last earthly care, your weary, panting soul pillowed in eternal repose. Note: For some more insight regarding the subject of trial and affliction, please see the recent series entitled “The Preciousness of Trial” from the book The Precious Things of God. There are lots of great insights to be had in this series! There are few things in the spiritual history of the child of God more really helpful heavenward than sanctified trial. Affliction is to the believer what the wing is to the lark, and what the eye is to the eagle,—the means by which the soul mounts in praise heavenward, gazing closely and steadily upon the glorious Sun of righteousness. In the case of the unregenerate, all afflictions are a part and parcel of the curse, and work naturally against their good; but in the case of the regenerate, they are, in virtue of the covenant of grace, transformed into blessings, and work spiritually for their good. Just as the mountain stream, coursing its way, meets some sanative mineral by which it becomes endowed with a healing property, so afflictions, passing through the covenant, change their character, derive a sanctifying property, and thus become a healing medicine to the soul. Pick up any book of Winslow’s and I can guarantee you that you will run into the subject of sanctifying affliction at some point. This is a subject he knew all too well I am afraid. He pastored a small church in the rough Bowery section of New York City during the beginning of the 19th century, lost his father at a young age, and would later lose 3 children within a year of one another…two of which were baby girls. Winslow’s spiritual vision was well acclimated to the dark valleys of this life and he was able to see the sanctifying graces contained within them. For the unregenerate, these afflictions are simply byproducts of the curse we all share in common with Adam. For the believer in the Lord Jesus, however, these blows were meant to bind up the soul to God and bring it into submission to a Father’s love that would have that soul to be set apart wholly unto Christ. Thus we find tribulation the ancient and beaten path of the Church of God. “A great cloud of witnesses” all testify to sorrow as the ordained path to heaven. It is not a matter if we will suffer, but when and for how long Winlsow seems to state here. Suffering is the blessed way of the cross and all who desire to walk her paths must indeed bear her stripes. Though it is true Jesus has taken our punishment and wrath in our place and brought us nigh to God, our sufferings and trials are meant to serve us a good and wholesome purpose… to draw us heavenward and to detach us from the things of this world. Our first remark, then, with regard to trial is, that it is a time of spiritual instruction, and so a help heavenward. Now, the school of trial is the school of spiritual knowledge. We grow in knowledge of ourselves, learning more of our superficial attainments, shallow experience, and limited grace. We learn, too, more of our weakness, emptiness, and vileness, the plough-share of trial penetrating deep into the heart and throwing up its veiled iniquity. And oh, how does this deeper self-knowledge lay us low, humble and abase us; and when our self-sufficiency and our self-seeking and our self-glorying is thus mowed down, then the showers of the Saviour’s grace descend “as rain upon the mown grass,” and so we advance in knowledge and holiness heavenward. Trial, too, increases our acquaintance with Christ. We know more of the Lord Jesus through one sanctified affliction than by all the treatises the human pen ever wrote. Oh yes, times of trial are times of growth in experimental knowledge. We see God and Jesus and truth from new standpoints, and in a different light, and we thank the Lord for the storm which dispelled the mist that hid all this glory, unveiling so lovely a landscape and so serene a sky to our view. To know ones self, that is, to see ourselves as God sees us apart from Christ is a double-edged sword indeed. It is a deeply humiliating and soul wrenching work of the highest order. To see the absolute vileness and depravity that lies within our very beings would drive us mad were it not for the restraining and comforting grace of our Lord. But it is this sight and this vision that will, by grace, most assuredly make us flee to the Savior hanging upon the tree and trust in His atoning sacrifice to wash us from all of our impurity. Blessed day when we first learned of our wretched condition and sped to the Saviors feet in utter self-abasement and weakness! This, readers, is a taste of the experimental knowledge Winslow so often writes of. To experience this inner soul blackness and to be able to feel it breathing within ourselves and to know that there is One who has washed us in His blood and made us white as snow. This is the blessed man. Trial quickens us in prayer, and so effectually helps us heavenward. But precious and costly as is this privilege of prayer, we need rousing to its observance. Trial is eminently instrumental of this. God often sends affliction for the accomplishment of this one end—that we might be stirred up to take hold of Him. I really can’t put it much better than these two excerpts. When a seaman is in stormy seas and the waves break over his head and crash onto the main decks, what will he naturally do? He will lay hold to that which is closest to him and that which is unmovable so that he may not be washed overboard. When trials come to us and it seems as though the breakers of God’s discipline burst upon our heads, we are brought to our knees to lay hold of He who is unshakable! Trials are necessary to wean us from the world. Perhaps nothing possesses so detaching, divorcing an effect in the experience of the Christian as affliction. The world is a great snare to the child of God. Its rank is a snare, its possessions are a snare, its honours are a snare, its enterprises are a snare, the very duties and engagements of daily life are a snare, to a soul whose citizenship is in heaven, and whose heart would fain be more frequently and exclusively where Jesus, its treasure, is. But God in wisdom and mercy sends us trial to detach us from earth, to lessen our worldly-mindedness, more deeply to convince us how empty and insufficient is all created good when His chastening is upon us, to intensify our affection for spiritual things, and to bring our souls nearer to Himself. The world, the flesh, and the devil are our sworn enemies here on earth. To help speed us heavenward, God chooses to send afflictions to break the earthly bonds and throw down idols we have erected in our hearts. John Calvin once stated that “our hearts are continuous idol factories”. Do you agree? I know I do! So often do I find myself so easily inserting some worldly idol onto the “heart throne” within and before I know it, I find myself in some strange bypath meadow and that I have no idea how I got into it! Graces seem to have grown cold and the Lord seems to be light years away! After tasting from the broken cisterns of the world and have smarted from its hollow love, I flee again to Jesus and as always, He is only but one glance away. The moral purity of heart (personal holiness) which chastened trial produces must have a distinct and prominent place in this enumeration of helps heavenward. Holiness, as it is an essential element of heaven, becomes an essential element in our spiritual meetness for its enjoyment. Finally, Winslow touches on the personal holiness which derives from much personal afflictions. How so? By resigning our own will to His. Confusion and anxiety can easily take root in the hearts and minds of Zion’s mourners during trial, but the trial is sent that the believer may resign his ways to a loving and all-knowing Father who knows what is best for the believer’s growth and maturity. Thus, the desirable fruits of humility, meekness, submissiveness, and obedience begin to blossom upon the branches of the afflicted soul. Dare we ask if our Father does not know what is best for us? If this be the path to glory, this the evidence of adoption, this the example my Saviour has left me, and this the help heavenward which sanctified trial brings—the steps by which I climb, the wings with which I mounts the door through which I enter as a sinner pardoned through the blood and justified by the righteousness of Christ—then, oh then, my Father, THY WILL, NOT MINE, BE DONE! If we want and expect to see the sunny shores of our long awaited heavenly Zion, we must walk in the same steps of not only countless scores of past saints who have gone ahead of us, but the way of our Master as well. Take heart believer! Take courage afflicted mourner! You are well on your way and the trials and afflictions you currently bear shall be for you the bitter waters you must now drink to later taste of the sweet fruits of your King’s far off lands. Please read Chapter 7 Human Care Transfered to God for February 28! There are few things in the spiritual history of the child of God more really helpful heavenward than sanctified trial. 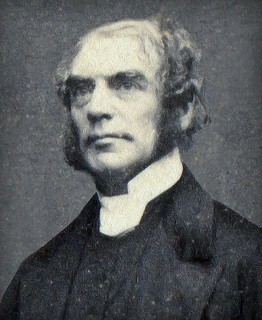 He treads no path in which he finds aids more favorable to advancement in the divine life, circumstances which more contribute to the development and completeness of Christian character,—the teaching, the quickening, the purifying,—than the path of hallowed sorrow—sorrow which a covenant God has sent, which grace sanctifies, and which knits the heart to Christ. The atmosphere is not more purified by the electric storm, nor the earth more fructified by the descending rain, than is the regenerate soul advanced in its highest interests by the afflictive dealings in God’s government of His saints. “Sweet are the uses of adversity” to an heir of heaven. Its form may appear “ugly and venomous”—for “no chastening for the present seemeth joyous but grievous;” but nevertheless it “bears a precious jewel in its head”—for “afterward it yieldeth the peaceable fruit of righteousness unto them which are exercised thereby.” Affliction is to the believer what the wing is to the lark, and what the eye is to the eagle,—the means by which the soul mounts in praise heavenward, gazing closely and steadily upon the glorious Sun of righteousness. Chastening seals our sonship, sorrow disciplines the heart, affliction propels the soul onward. We should have a more vivid conception of the power of affliction as an ingredient of holiness if we kept more constantly in remembrance the fact that all the afflictive, trying dispensations of the believer are covenant dispensations—that they are not of the same character nor do they produce the same results as in the ungodly. They are among the “sure mercies of David.” In the case of the unregenerate, all afflictions are a part and parcel of the curse, and work naturally against their good; but in the case of the regenerate, they are, in virtue of the covenant of grace, transformed into blessings, and work spiritually for their good. Just as the mountain stream, coursing its way, meets some sanative mineral by which it becomes endowed with a healing property, so afflictions, passing through the covenant, change their character, derive a sanctifying property, and thus become a healing medicine to the soul.